It’s a narrative of will in a way, possibly a survival story. As Ree digs deeper through the forest of family trees, she finds the roots get deeper and more tangled as she goes. It is a large task to ask of Lawrence, who plays the role with the perfect balance of sincerity and grit. Encountering kin who want to talk like everything is nobody’s business; Ree undergoes an exploration of her own ability to become an adult, testing her own intellect and spirit as a person in such environment. This is probably the only interesting part in the whole film. Debra Granik does an excellent job sculpting a tone and look so vivid and raw to draw her story onto. She sets up a deadening backdrop filled with leafless trees, thin chilling air and a frozen-in-time vibe for her locally selected actors to exhibit the lives of hard-edged people in their dreary corner of the country. It’s an interesting sight; it is just too bad the film doesn’t quite match its ability to fascinate. Every time a movie of the sort comes out, it is regarded as classical for being minimalistic stylistically or for being tension driven. The problem that lies with this is that none of these movies are ever really that tense. Winter’s Bone is no exception. It is constantly too continuous with its tension or just forgets how to use cinematic devices in order to create it. 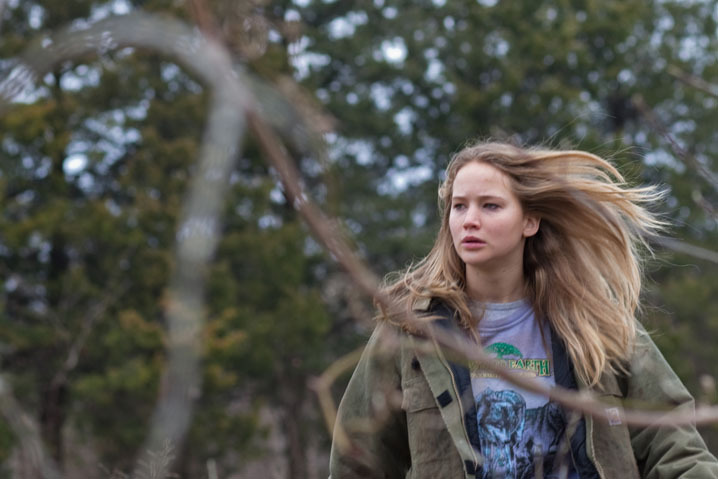 Just like the others and like Ree Winter’s Bone relies a lot on some notion of bread and butter. Sure it’s enough to fill up and survive on, but it’s only enough food to keep you bare bones. This entry was posted in Reviews and tagged Debra Granik, Frozen River, Indie Cinema, Jennifer Lawrence, Movie ReviewsOz, Negative Winter's Bone Review, No Country For Old Men, Oscar contenders, Oscar hopefulls, Ozark Mountains, Sundance Film Festival, Thriller, Winter's Bone by LukeMiller. Bookmark the permalink. Interesting review. The minimalistic feel of the movie can definitely be off-putting and Winter Bone’s feels very indie-like. As far as tension goes, it’s true that it might feel a bit dull especially through the first half but I thought Granik did a great job most notably in that scene where Ree and Teardrop are pulled over by the sheriff. The sequence on the river where they go fetch the body also was quite macabre. I wasn’t crazy about this one either. I’ve been struggling to find the inspiration for a review. I think Lawrence is solid, but the film’s plot is so basic and uninteresting that it’s tough to become engaged in the proceedings. Even Granik’s vision of life in the Ozarks, I think, is compromised by the end. Good review, but I definitely liked it better then you. I have a review on my site, and I gave it a 4/5. I was impressed with a lot of things, but also disappointed in ways too. You make very good points, this movie overall was still a let down, but still good.